Sooji (Semolina) Roti is a great dish for packing for lunch or school. Infact they stay surprisingly soft for a long time as compared with a regular roti. Its a great change from the Regular Wheat flour rotis. 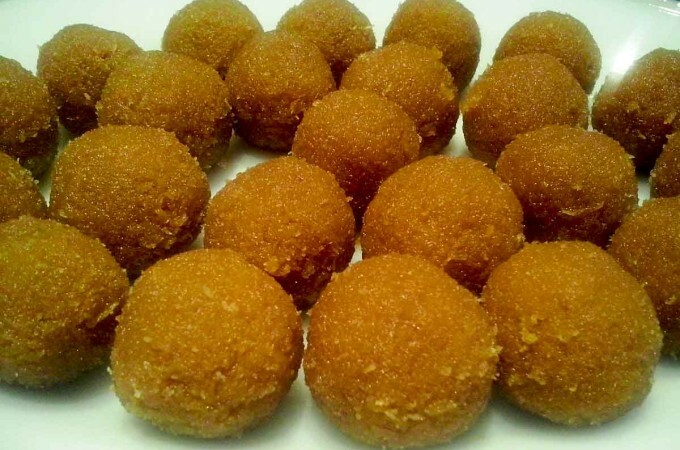 Sooji is also called rawa (or Rava if you prefer) in South India . This Roti is called Thali Peet in Kannada. 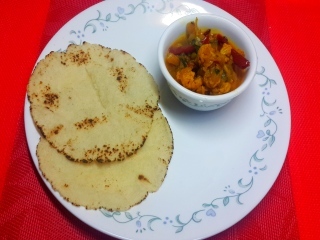 This is also called Sooji Chapati or Rava Chapati. Bring 2 cups of water to boil in a deep wok. Add oil and mix well. 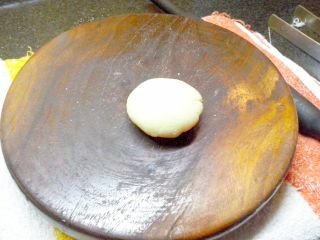 when it start boil add Sooji to the water while continuously stirring to avoid lumps. 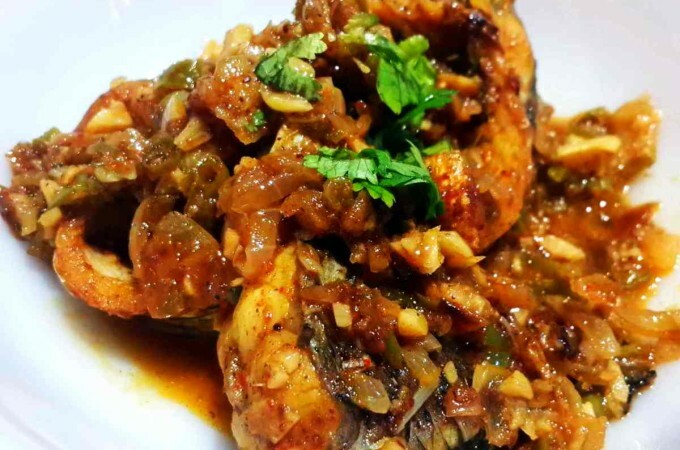 When the water and sooji are well mix, switch off the stove and let it rest till cool. 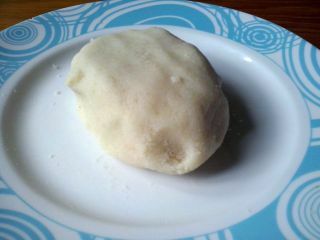 when sooji dough cools down but a little more than warm, knead it like dough with lightly oiled hands. 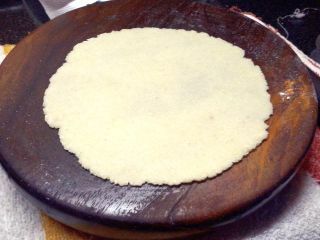 Divide into equally portions and roll them into chapati shaped with the use of Rice flour or wheat Flour for dusting. 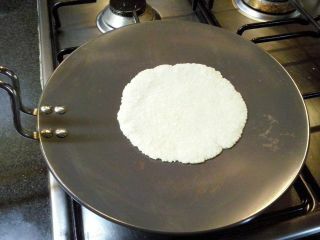 Cook the rotis on a tava on one side for about 2 minutes or wait for the small air bubbles. Flip and cook other side for another 2-3 minutes. 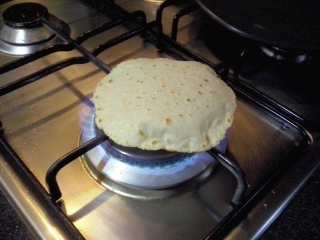 Take it out, Increase the heat and allow the roti to puff directly on the flame. 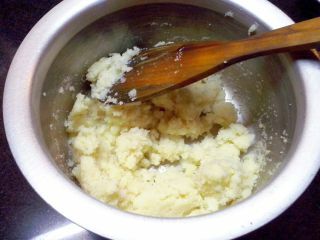 Remove and do the same process for reaming dough. 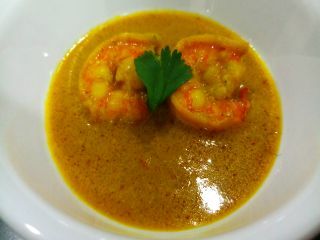 Serve with chicken, mutton or any kind of vegetable curry. Right temperatures of the tawa is very important thing while making Rava Roti. if the temperature is too high, roti will burn, and if it is too low then roti will become hard. So I always prefer to roasting on medium to high heat. Sooji (Semolina) Roti is a great dish for packing for lunch or school. Infact they stay surprisingly soft for a long time as compared with a regular roti. Its a great change from the Regular Wheat flour rotis. 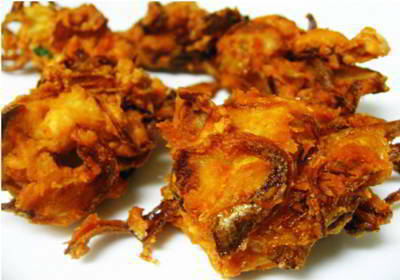 Sooji is also called rawa (or Rava if you prefer) in South India . This Roti is called Thali Peet in Kannada. 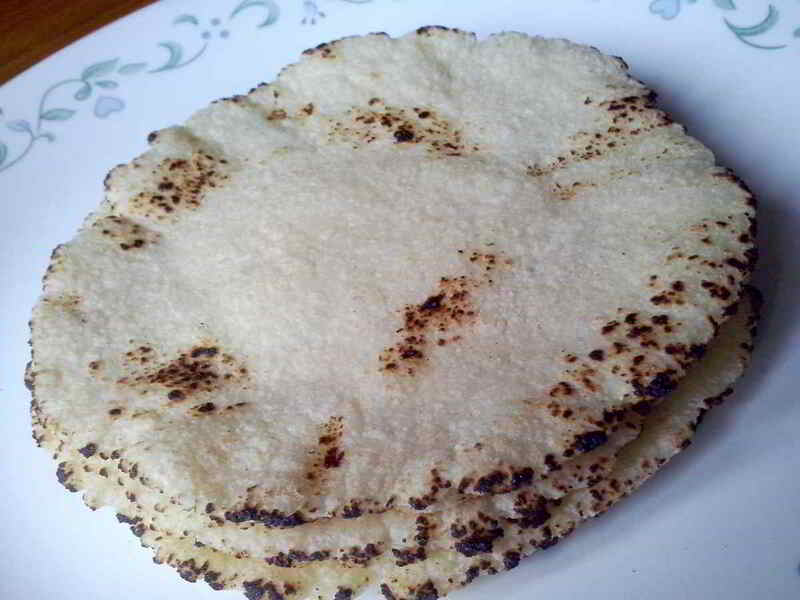 This is also called Sooji Chapati or Rava Chapati. When it starts to boil add Sooji while continuously stirring to avoid lumps. When the water and sooji are mixed well, switch off the stove and let it cool to lukewarm. 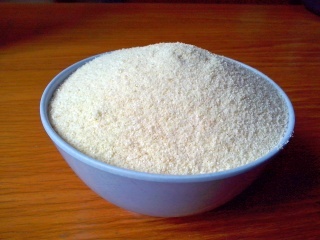 Knead the lukewarm sooji dough with lightly oiled hands. So how was it? Easy no?